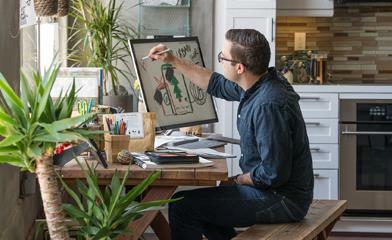 Yammer empowers people to work out loud and connect with others across their organization to share ideas and get things done. In Yammer, groups provide the structure for people to gather in open spaces to share best practices, develop into communities of interest and ignite new initiatives. Today, we are pleased to announce the integration of Yammer with Office 365 Groups—the group membership service that provides a single identity for teams in Office 365. Now, when you create a new group in Yammer, it will automatically be part of the Office 365 Groups service, giving the group a OneNote notebook, a Planner for task management, a SharePoint Online team site and document library. With the integration, you and the members of your group can readily access these shared resources directly from Yammer. This integration between Yammer and Office 365 Groups affects customers who have enforced Office 365 identity in their networks, and have only one Yammer network associated with their Office 365 tenant. The full rollout of Office 365 Groups will take place in phases, which will connect Office 365 Groups with existing non-connected Yammer groups and remaining Office 365 tenants. You can also look forward to integration with Outlook Calendar as well as greater enhancements to Yammer integration with SharePoint Online and Planner. Through Office 365 Groups integration, Office 365 administrators will soon be able to use query-based group membership in Yammer based on Azure Active Directory attributes such as role, location and manager. This will ensure that certain groups based on organizational structure dynamically include the right members. We are always seeking user feedback and invite you to join us next Tuesday, March 7, 2017 from 9 a.m. to 10 a.m. PST / 5 p.m. to 6 p.m. GMT for an Ask Microsoft Anything (AMA), hosted by the Microsoft Tech Community. This live online event will give you the opportunity to connect with members of the product and engineering teams who will be on hand to answer your questions and listen to feedback. Add the event to your calendar and join us in the Yammer AMA group next week. To keep up with Yammer releases and connect with our product teams on an ongoing basis, please join the Yammer Service Updates External Group. Q. How do I know if my tenant is eligible for this new Yammer groups experience? A. To meet the initial rollout requirements, you must have only one Yammer network associated with your Office 365 tenant and Office 365 identity must be enforced. Please refer to the support article to learn more about configuration requirements in your tenant. Q. Will my existing Yammer groups be converted to Office 365–connected Yammer groups? A. 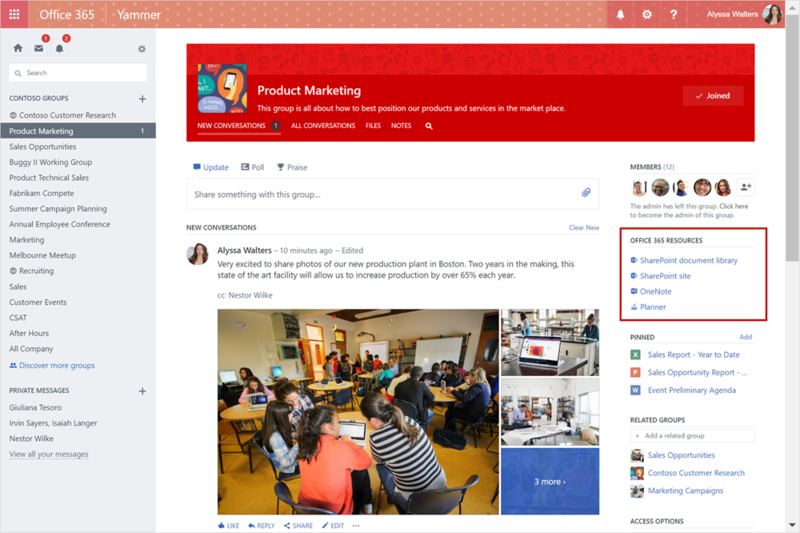 Currently, only new groups created in Yammer that meet the initial rollout requirements will be Office 365–connected Yammer groups. In the coming months, we will be working on the next phase of converting existing non-connected Yammer groups. Q. If I disable Office 365 Groups creation for my tenant, will the groups that I create in Yammer be Office 365–connected? A. No. If you have disabled Office 365 Groups creation, the groups you create in Yammer will not be connected to Office 365 Groups. Q. Will a message I post to an Office 365–connected Yammer group also appear in the same group in Outlook? A. No. The conversations will either reside in a group in Outlook or a connected Yammer group, whichever communication tool your group decided to use at its origin. Messages won’t appear in both. Users who send a message in Outlook to an Office 365–connected Yammer group will receive a “Success” email confirming their message was posted, and any replies to that message will follow standard Yammer notifications for posts via email.